Years ago, as a child, I spent 3 weeks in Poland at a school camp located mainly in the cities of Szczecin and Krakow. At that time, on the road we managed to afford a nice two hours walk in the Warsaw center. Still, I vaguely remembered the square in front of the Royal Castle and I really wanted to remind it and to explore a bigger part of the Polish capital. My new visit to Warsaw have happened quite recently 🙂 . We visited the city a month ago on our way to Tallinn. We spent two days in Warsaw, quite enough to explore the city and the most interesting tourist sights in Warsaw. This article is dedicated to them. Our flight with LOT was so early in the morning, that we were in the center before 8am. At that time, there were a lot of people already, though the cafes were still closed and we had to wait for breakfast. We did not waste time and started studying the city. We began our walk from the bus stop Nowy Swiat, near the university. We walked down the Nowy Swiat Street to the Old Town. The first sites we saw were the building of the Polish Academy of Sciences and the Nicolaus Copernicus Monument in front of the Academy. We looked around and continued our walk slowly and with great curiosity. 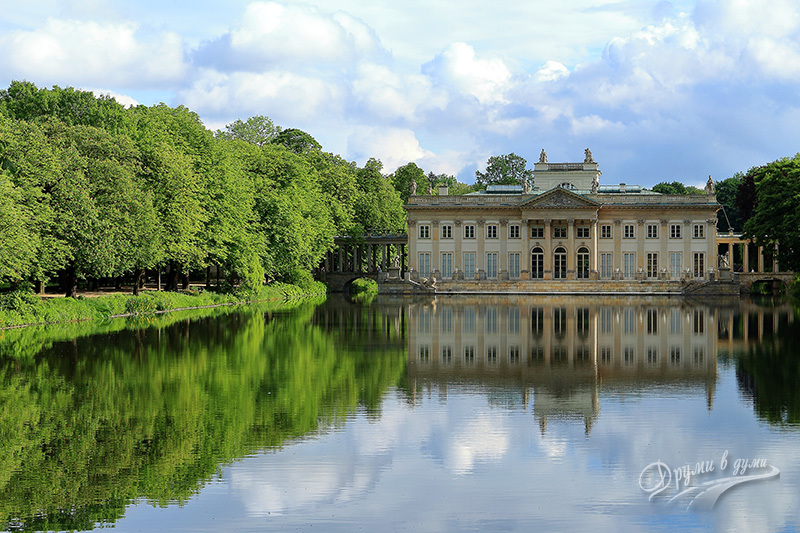 The day after in the morning we went to see two remarkable palace complexes in Warsaw – Wilanow and Lazienki which I will introduce to you below. In the late afternoon we went again to those central Warsaw locations, we had explored already, and saw a few more. The next section is dedicated to the most interesting sights in the center of Warsaw as we viewed them in the day or in the evening. 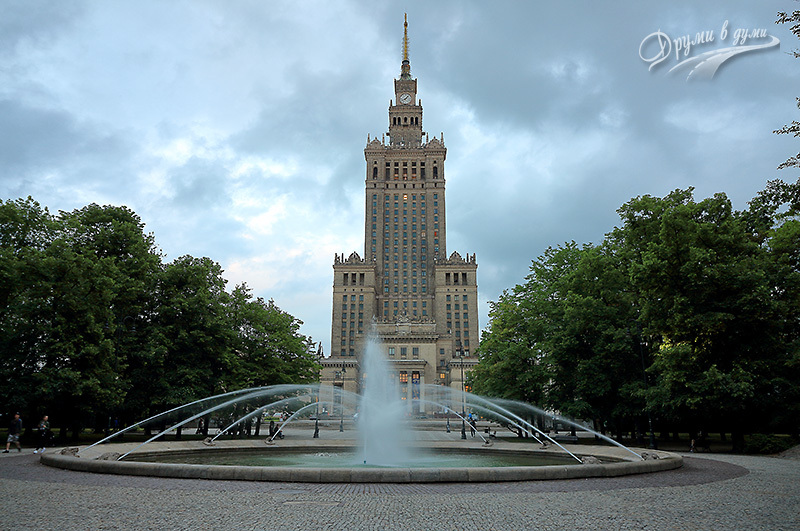 The Palace was built in 1955, it is 231 meters high, it was a gift from the Soviet Union, and is emblematic for the Polish capital. It houses cinema, theater, offices of many companies and public institutions. 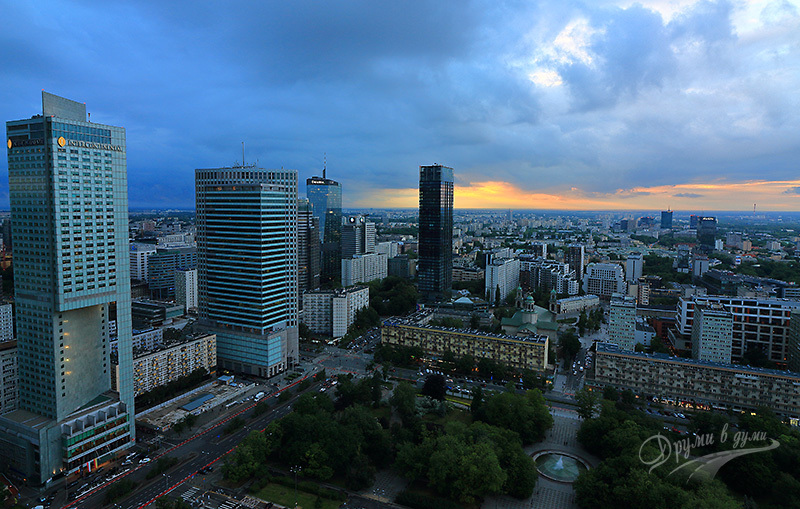 One of the many attractions in the building is the 30th-floor terrace, which offers superb views of all parts of Warsaw in all directions. To go to the terrace you should take a lift from the central lobby. The visit costs 15 zlotys (~ 3,5 EUR) per person which is quite attractive, I think. There is a pleasant coffee bar on the 30th-floor, so you can complement the views with a coffee, with an ice cream or with a delicious cookie. The area around the Palace of Culture and Science is Warsaw’s a new modern center and you see there a lot of skyscrapers, some of them having bizarre architecture. The area is worth seeing both in the day and at night. During the daytime you can explore a lot of details of building styles. At night the picture is quite different – the skyscrapers are lit in colorful lights. 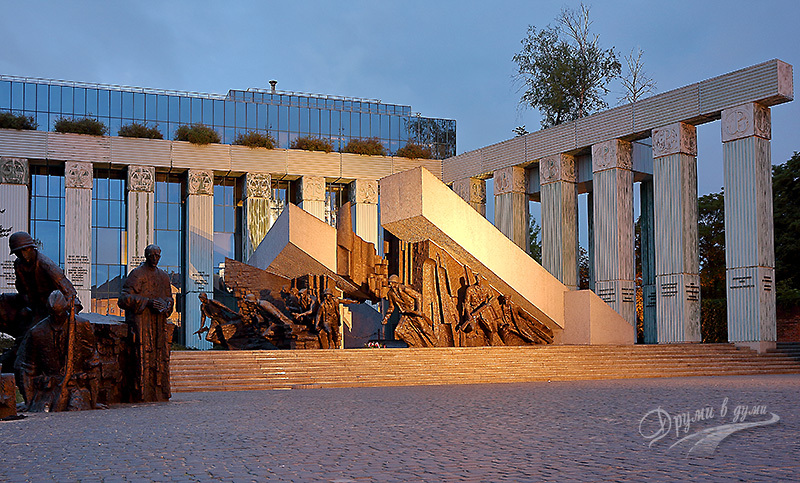 As the name implies, the monument is dedicated to the unknown heroes who died for Poland’s freedom. The monument is located in a pleasant city park in central Warsaw, between the Old Town and the Palace of Culture and Science. 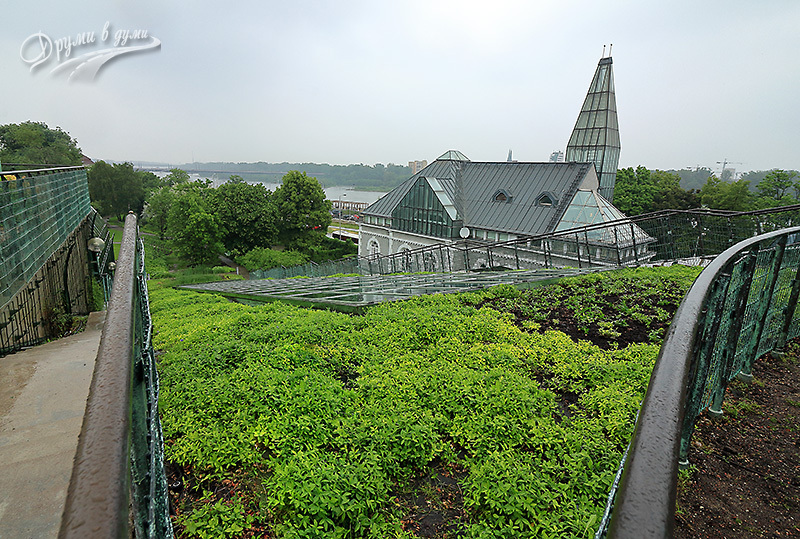 On the roof of the Warsaw University Library, near the Vistula River, there is a very nice place for a walk and a short city break. It is a botanical garden with typical rock gardens and plant beds. The visit is free of charge. Unfortunately, we were not so able to enjoy the garden, because it was raining cats and dogs, but it is definitely worth visiting it. 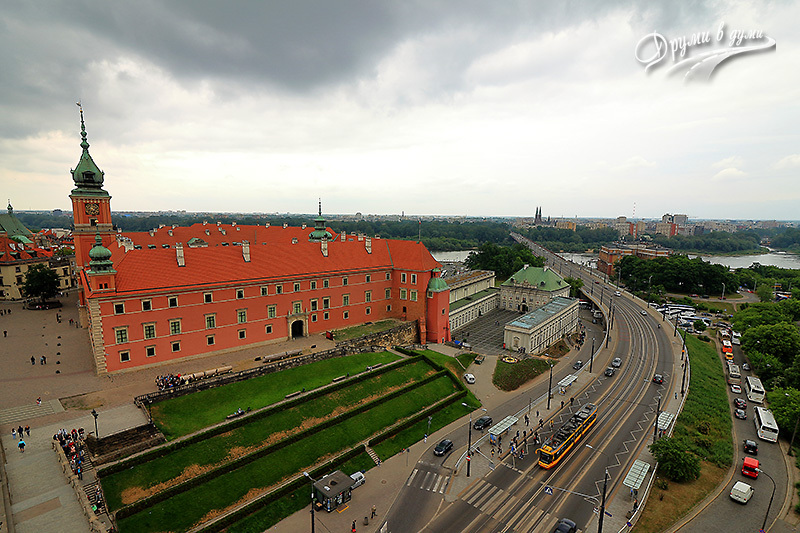 It is very close to the the Nicolaus Copernicus Monument and to the Polish Academy of Sciences. The Chopin’s heart is kept there. Beautiful and modern building. In front of the Presidential Palace there is a commemorative plaque reminding the tragic death of the Polish president Lech Kaczynski together with other Polish politicians who died in airplane crash near Smolensk, 2010. The church, so large and lush, is on the Old Town square near the Royal Castle. The church has a high bell tower. It is so interesting to get on top of the tower and have a look at the Old Town from above. There are great views in all directions. The price of this pleasure is only 6 zloty (~1,5 EUR). 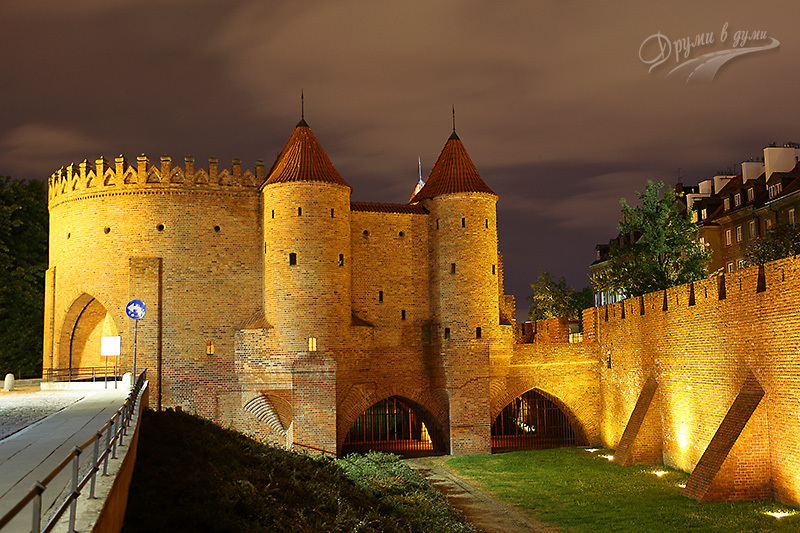 The Castle has a central location in the Old Town and served as a residence of Polish kings from the 16th to 18th centuries. It was Wednesday, when we visited the Royal Castle, and we selected this day deliberately – the entrance was free of charge. Inside the palace we had the opportunity to look at many paintings, pompous halls, several throne halls that acted during the various Polish rulers. It is the largest and oldest Gothic cathedral in the city. 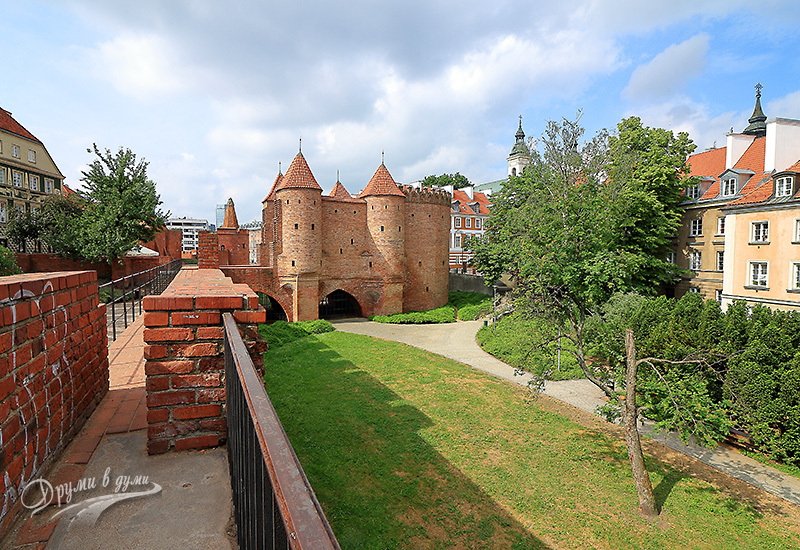 It is located between the Royal Castle and the Old Market Square. Really impressive both inside and outside. 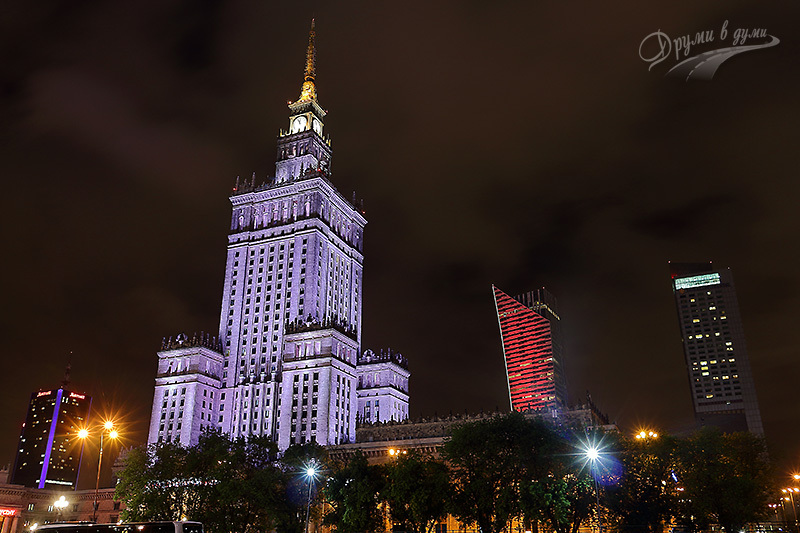 It is definitely one of the Warsaw best sites and the place that attracted me the most! 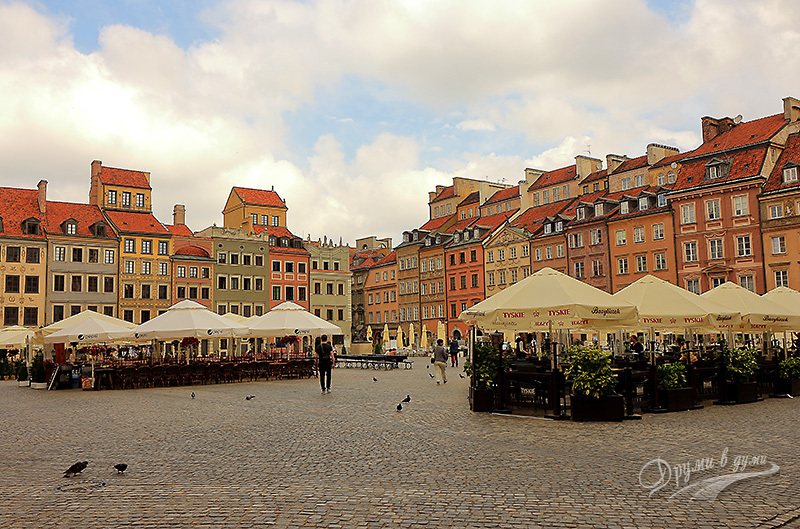 The Old Market Square is the heart of the Warsaw Old Town. 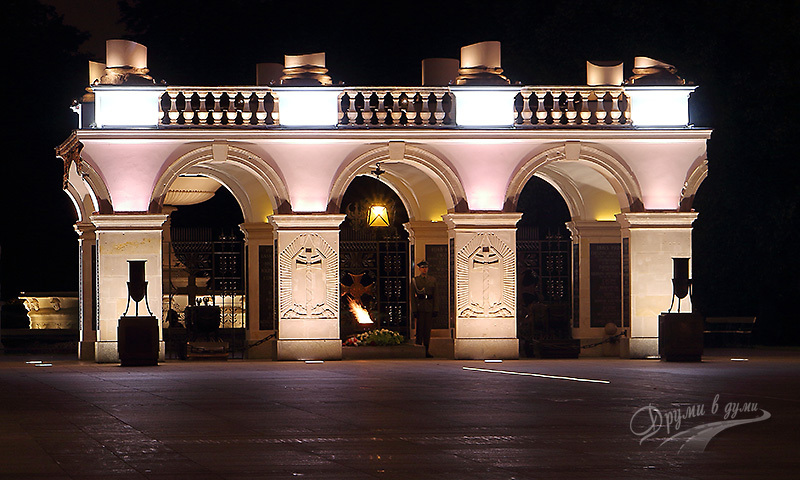 It is just beautiful – with nice architecture, interesting buildings, colors, and restaurants. We did not miss to have coffee and delicious cookies there. The square dates back to the end of the 13th century, almost from the foundation of the city. The buildings surrounding the square were originally in Gothic style but they were later burned in a large fire and rebuilt into a new Renaissance style and later in a Baroque style. The square and the surrounding buildings suffered huge destruction during the Second World War but were restored after the War. It was my top sight in Warsaw. The old Barbican towers are one of the Warsaw emblems. They are the few remaining old buildings. In the past, the Barbican towers were part of a fortification network that surrounded the city. We liked the Barbican Towers so much, as we adore exploring old historical sites and the Barbican is among the top Warsaw historical sites. We walked around them both in the daytime and in the late evening. They were always interesting. Well, at night they are probably more impressive and magnificent because of the lighting. The New Town is next to the Old Town and begins after the Barbican Towers. 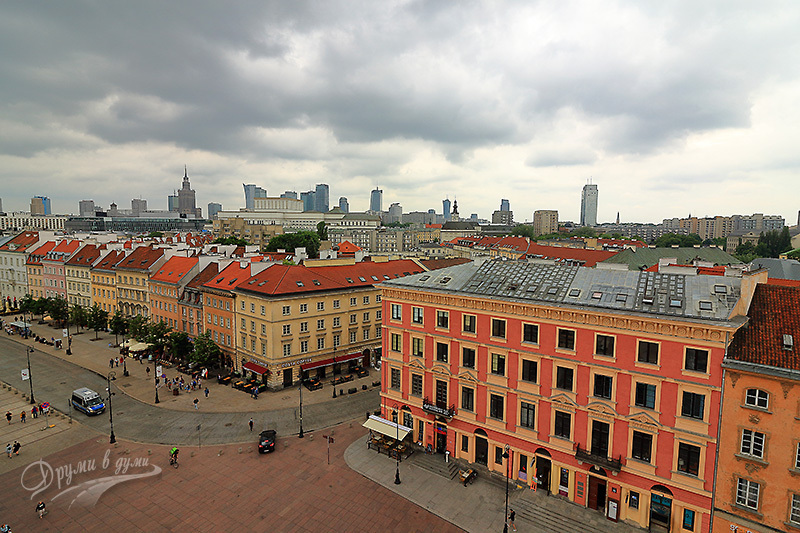 The Warsaw New Town is not really new because it dates back to the 15th century. 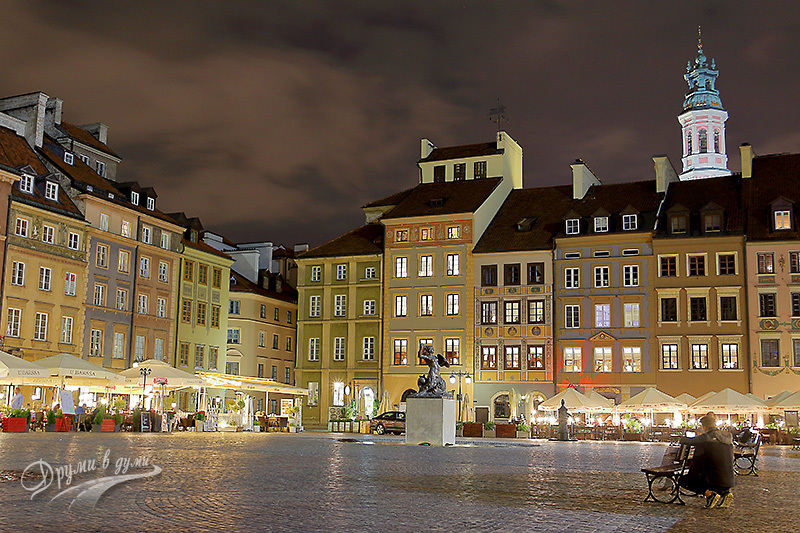 Warsaw New Town was significantly affected during the Second World War and was rebuilt after the War. This part of the city is also very pleasant for walk, most streets are pavement, the buildings are old-fashioned, there are many churches, even a monastery. Tourists here are considerably less than in the Old Town. In addition, there are some nice dining venues on the street. Restaurants here normally open at lunch time and work until 11 – 12pm. 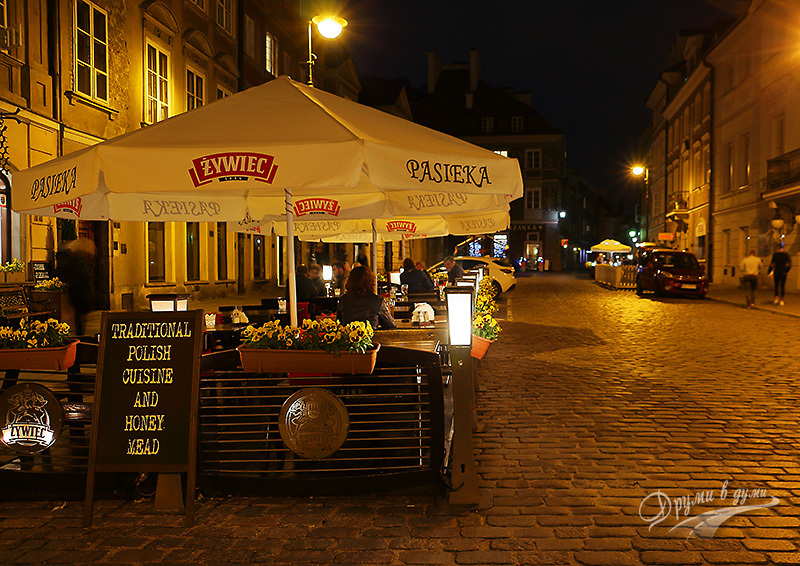 We did not miss to walk in the New Town in the daytime and to eat delicious Polish plates in the evening. 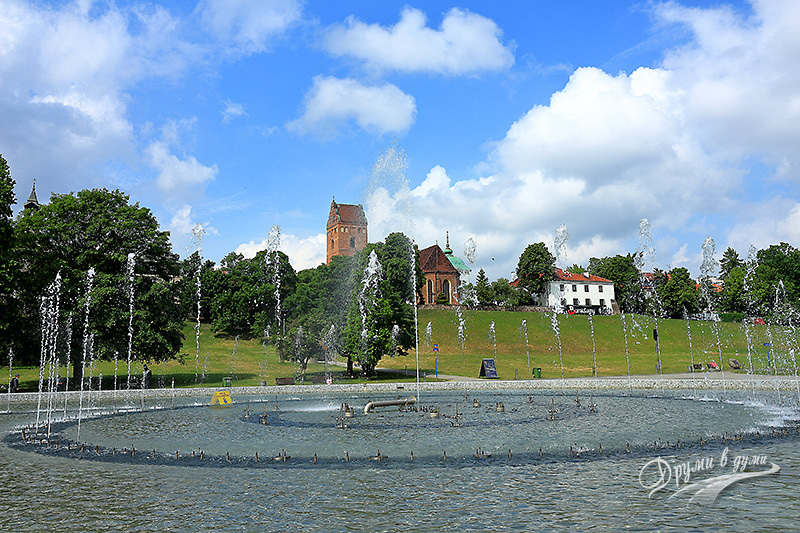 Within the New Town, near the Vistula River, there is a small park with a great water attraction – a big beautiful fountain in the central part. I have read that it was one of the largest fountains in Europe. The monument is also located in the New town, not far from Barbican. It is dedicated to the Polish Uprising in 1944. It another must see site in Warsaw as it is impressive and another emblem of Poland. One thing we missed was an extended walk along the promenade of the Vistula River, the most important and long river in Poland. We did only a short walk near the Multimedia fountain. 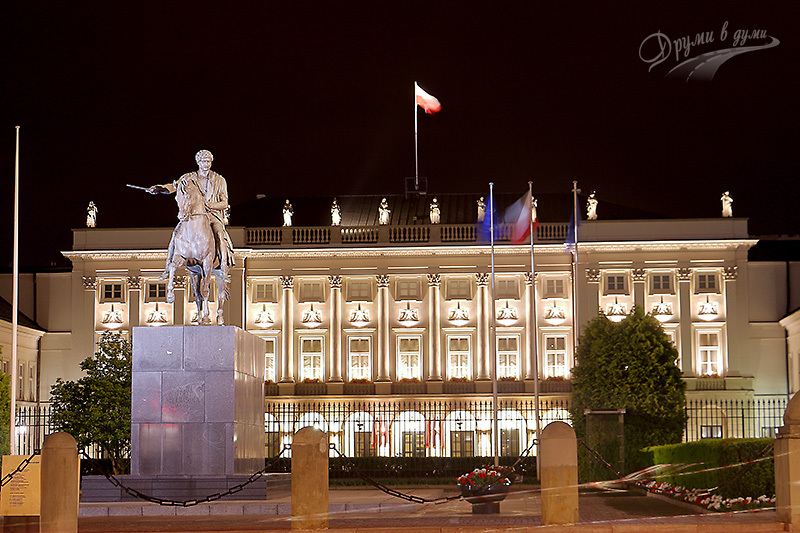 In this section I will tell you about two more of the most interesting sites we visited in Warsaw – the Wilanow and Lazienki palaces. We visited them during the second day of our visit to Poland. Currently, it is one of the most important museums in Poland. 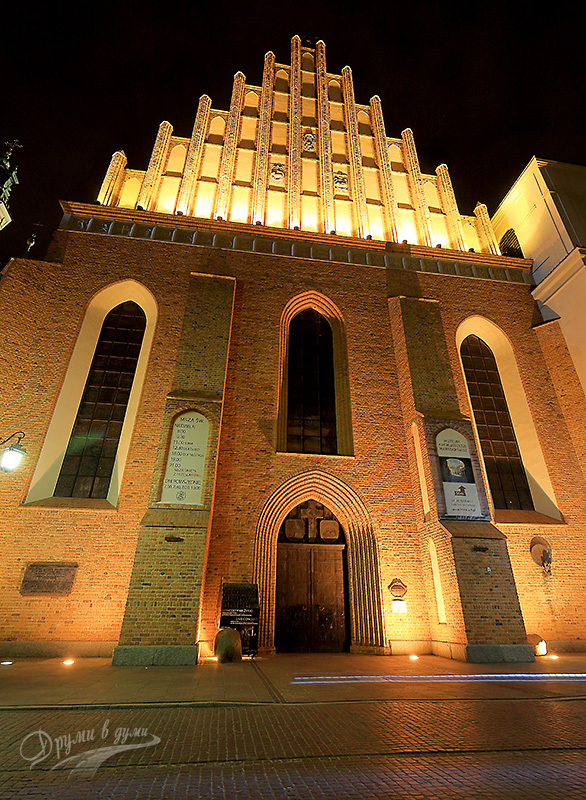 It is located in the Wilanow neighborhood that is in the outskirts of Warsaw and survived the two World Wars. 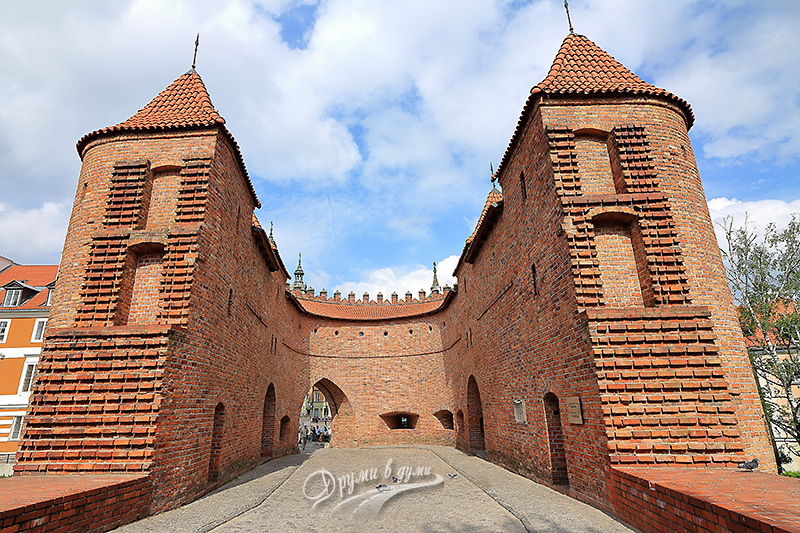 It was built in the last quarter of the 17th century for King John III Sobieski. It was then used, expanded and rebuilt by the next Polish rulers. The Lazienki Park, also known as Royal Baths Park, is the largest city park in Warsaw, occupying the remarkable 74 hectares of area, in the central part of the city. The park is wonderful place for walk. In addition, there are several royal residences there turned into interesting museums. 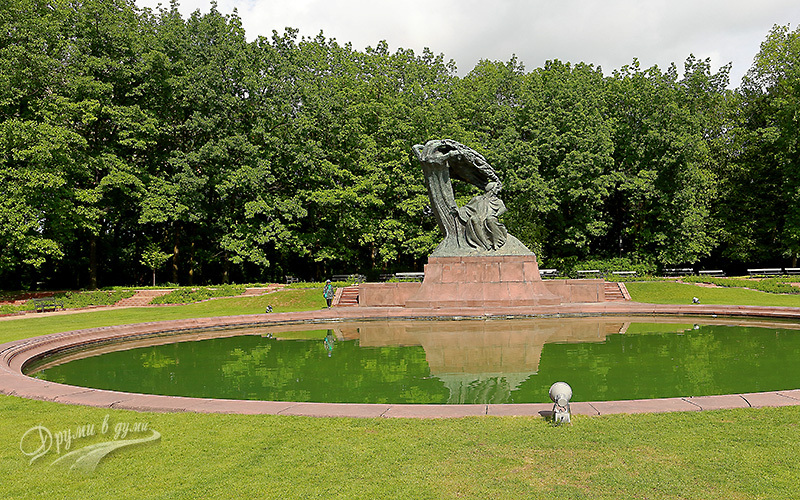 My first impression from the Lazienki Park was a notable Chopin monument with a small lake in front. The Lazienki complex was created in the 17th century as a park with bathrooms of the nobleman Stanislav Heraklius Lubomirski. A pavilion with bathrooms was built originally in the park. In the 18th century it was turned into a palace complex by King Stanislav Augustus. In case Warsaw is not your end target destination – Chopin airport is a major European transit airport, but you still have a few hours between flights and want to see the Polish capital and if you have a large hand baggage, it is not very convenient to take it to the center. The good news is that the Chopin airport offers convenient luggage storage safes at reasonable prices. They are located on Terminal A at the Arrivals level. Just look at the left of the exit on the pavement near the bus stop and you will see them. The price for borrowing a safe 14 zloties per 24 hours and it can be paid in cash with coins or with a credit card. We took advantage of this service on our way back from Tallinn to Sofia. Keep in mind, however, the time constraints if you are in Warsaw for only a couple of hours: it takes approximately 40 minutes to get from the airport to the Warsaw center. The distance from Chopin Airport to the Warsaw center is about 11 km. Taking a taxi will cost you about 50 zlotys and will ship you for about 30 minutes. If you use the public transport – mostly bus – you will arrive in about 40 minutes, the ticket price is 3.40 zlotys. In case you have a whole day in Warsaw, it will be more profitable to buy a one-day-ticket which costs 15 zlotys. We, for example, bought 3-days-tickets for 36 zloty, which was very profitable in our case. The prices I have indicated are for Zone 1 in Warsaw. Bear in mind, that the suburbs fall into Zone 2 and the tickets are more expensive. We did not go out of Zone 1. 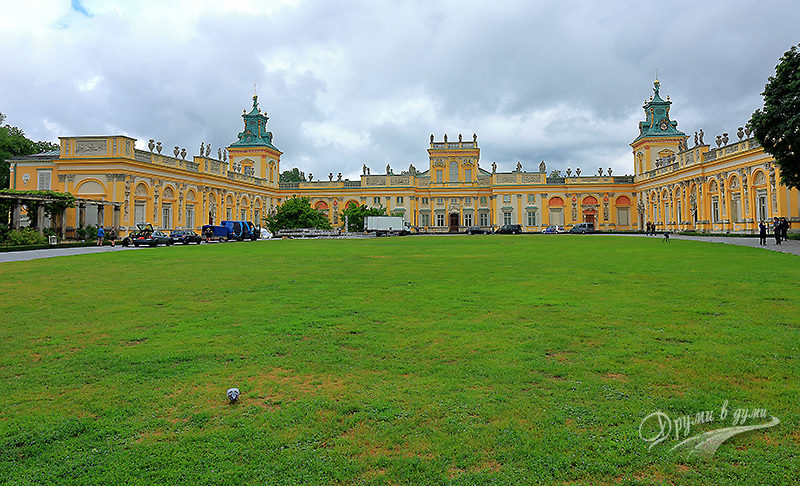 The farthest place we visited – the Wilanow Palace, fortunately, was located in the Zone 1. 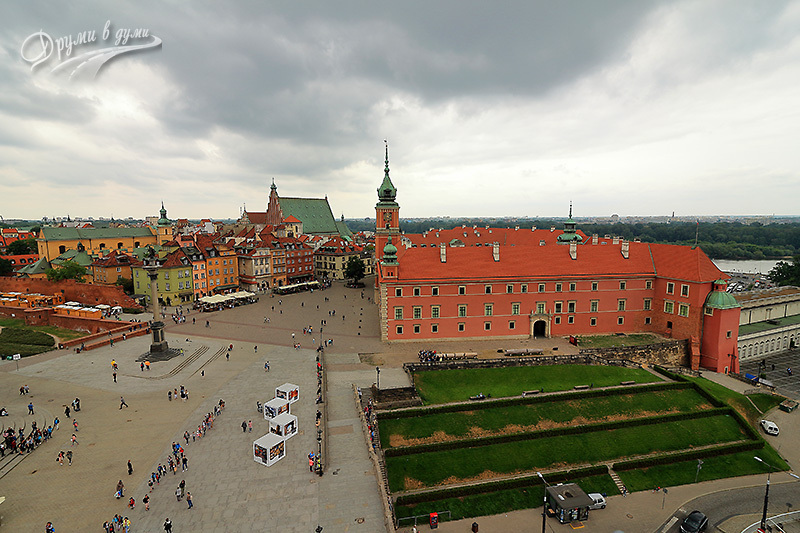 When we explored the Warsaw main sights, we picked out which of them to visit to optimize our budget. We found that almost every museum in Warsaw had a free day. So, without paying, we visited the Royal Castle in the Warsaw historical center (free to visit every Wednesday) and the palaces Wilanow and Lazhienki (free every Thursday). Full information about Warsaw museum days can be found here. 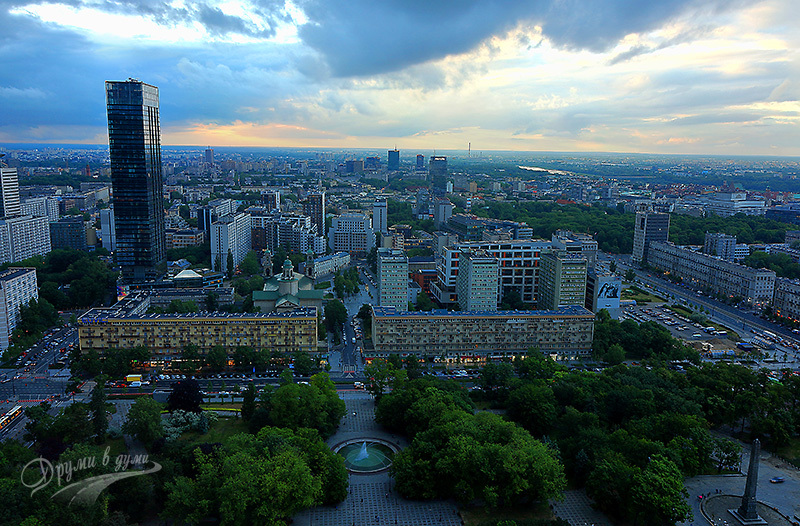 In general, the options are two – either in the Warsaw center or in the airport area. Needless to say, there is no such thing as complete happiness – on one hand, it is quite expensive in the center, and on the other – it takes time and transport costs to get from the airport to the center. We chose Sangate Hotel Airport in the area of Chopin Airport. We were very pleased with the room, service, and the attractive price. There are certainly many good places to eat in Warsaw. 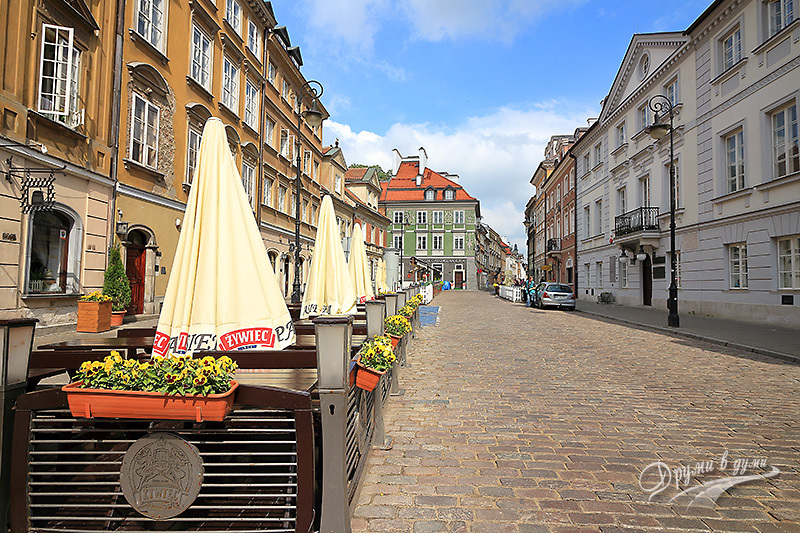 We tried out one of the Warsaw Old Town’s restaurants on the Market Square and a restaurant in the New Town, where we tasted typical Polish cuisine. As I have already mentioned, we were excited by Warsaw – by Warsaw sights and by Polish people – so polite, hospitable, and ready to help. Urban transport is mostly terrestrial, so a bit slow, but the bus lines are many and relatively frequent. Prices in Warsaw are not hight. There is plenty to see! I strongly recommend Warsaw as a lesser known European tourist destination. This entry was posted in Poland. Bookmark the permalink.